Before I started using the Influx WiFi Maximizer Router Dock two weeks ago, I could not do what I am doing at this moment. I am now using my laptop in my dining room, about 40 feet away from my router and modem, and I am getting a strong and constant WiFi connection despite various walls and 90 degree obstructions between me and the router. 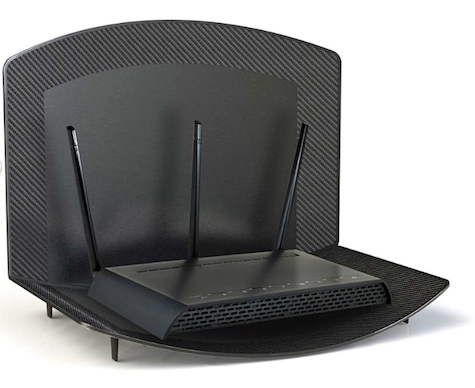 There are numerous devices that will extend a WiFi signal to distant parts of a house or office. I do not claim to have tried them all. What I know beyond a doubt is that the Influx has given me a signal where I could not get one before, and it’s been working without interruption or slowdown for two weeks. The Influx does not require any cables or wires. There’s nothing to plug in. The device looks like a plastic bandshell or cradle. 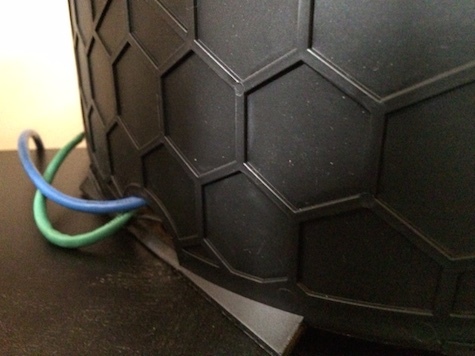 Place a router that’s no wider than ten inches on the WiFi Maximizer Router Dock, thread your connections through a hole in the rear to reconnect your router, and aim the device in the direction where a stronger signal is needed. That’s it. 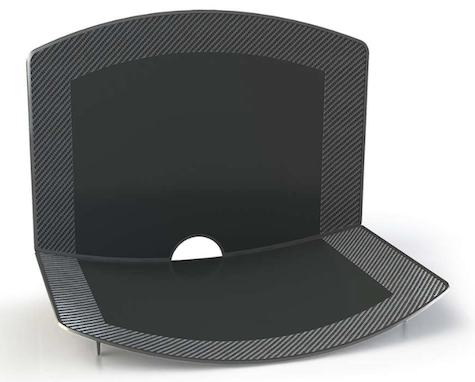 There may be some kind of radio antenna embedded in the carbon fiber housing, but the Vancouver, Washington company says that material is proprietary. That’s fine with me. Either the gadget works or it does not. This one is working as advertised. Influx also claims that if you’re streaming movies there will be fewer buffering times. Also downloads will be accelerated, but I cannot speak to that. I haven’t measured my download speeds but I could usually detect if there was a noticeable change in the past. On the basis of anecdotal evidence, I can say there may be slightly accelerated download speeds. But this has never really been my greatest concern. My problem was frequently having to move my laptop Mac until it was within range of my router, and that range was short. 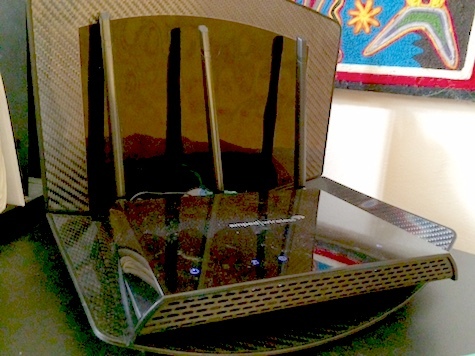 It was annoying and now, thanks to the Influx WiFi Maximizer Router Dock, that problem is happily a thing of the past. MyMac Podcast 608: Customer or Product?